We are all aware of the green initiative that is going on out there as we become more of our resource consumption and work to save the planet. In fact at Enquiro we have a very large green initiative. We recently launched our Enquiro Earth program. We started out as a group of volunteers who have a passion for nature and for nurturing those around us, both close and far away. Our actions have evolved into a corporate mandate! 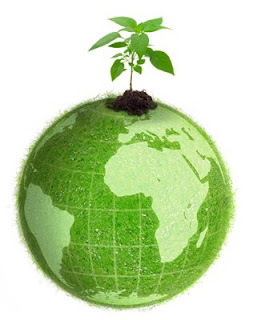 I started thinking about online sustainability and a "Green Initiative with SEO". There is a lot of stuff out there that has been polluting the "Online World" and as search marketers, bloggers, site owners, web designers, social media gurus, link builders, Webmasters and the like, we have all contributed to it. (Well not all of us...) Some more than others. As I was thinking about writing this post I thought that wouldn't it be cool if we all made a conscious effort to stop polluting the Web. When I say "polluting" the Web I am referring to things such as spammy content, link spam, comment spam, social media spam, SEO overkill and virtually any form of content that goes out on the Web that is irrelevant, duplicated or basically just not useful. When I perform a search query in a search engine, I expect to find relevant results. I don't necessarily want results from Wikipedia or a web page from 1998 about the topic that I queried. I want results that are useful to me. With that I came up with a fun little list of ten things that can be done to help improve sustainability on the Web. Avoid Having Duplicate Content on Your Site - there is nothing worse than having five or six versions of the same page polluting the Web. Sure you need to track items on your Web pages, but appending your URLs with variables for tracking purposes and polluting the Web with multiple versions of the same page is a waste. It's not good for the user and it's not good for the search engines. Stop the SEO Spam - there are certain industries out there that get away with on-page keyword densities of 20-25%. Is that really necessary? I personally don't care how often you have "payday loan" on your homepage. Or what about the site that spams their meta data with keyword spam? Write Unique Content - ahh content is still King, especially when it is unique, useful and relevant. Create Unique Widgets - do we really need 100 different mortgage calculators? Be creative people. Host Your Video Content on one or two resources not 15 - Seriously... I get viral but do you need to upload your video to every aggregator site? Stop the Blog Spam - setting up blogs just to build your link inventory and not to offer the online world some actual beneficial insight is lame. Blogging for the sake of having a blog is also lame. If you're going to have a blog, try to keep it updated, interesting and consisting of your thoughts. Pay attention to your audience. Stop the Micro-Site Spam - Similar to the previous listing, creating websites just to improve rankings is passe. All of you organizations that are considering hiring or working with a black-hat SEO firm out there need to realize that it's not just about ranking. It's about addressing the needs of your audience and being able to promote your product or service offering accordingly. Don't create 10 sites to tell me about your software solution. Create one good one with relevant content that speaks to my needs. Stop Stealing Others' Content/Ideas - Just because someone went hot with a topic on DIGG or Sphinn, or Technorati doesn't mean that you need to copy it and add your two cents... unless that is that you have something meaningful to add. As in the real world, being a follower in the online World is not cool.. try to contribute with substance, not fluff. Keep your Content Fresh and Up to Date - Don't write the same thing over and over. Ensure that your content contains the latest news about your company, services or products. Archive your old content that is less accessed and promote the content that is new. Now we're not saying that you need to hide your content or even remove it, we're just saying that the search engines and users alike are looking for useful, informative content. The Web would definitely be a better place if we had less SEO spam and for that matter PPC spam on the results pages. I guess that it comes back to relevancy and ensuring that the user is able to find the information that they are looking for when they perform a search online. There is already a lot of content on the Web.... just think what it will look like in another 10 years. We need to do something about this now.